CRISPR-Cas9 has drawn applause for being one of the biggest technological advancements in recent history, but it also raises important ethical issues. This technology, an efficient genome editing tool, is now taking its next big step: CRISPR might be going in for human trials for its potential use in fighting cancer (namely, by altering T-cells to treat cancer cells as “foreign bodies”). Trials have been proposed to be conducted at three sites over a period of two years. The Recombinant DNA Advisory Committee (RAC) at the NIH gave its unanimous approval for these trials earlier this week. Now permissions from FDA and Institutional Review Boards remain before this becomes a reality. Whether or not the studies will get that approval is uncertain. The RAC already expressed concerns about conflict of interest, and the ghosts of the trial involving Jesse Gelsinger 17 years ago at UPenn have resurfaced. There are also important questions about risks, uncertainty, and informed consent from the research participants. The scientific community and regulators have been wary of the gravity of the implications of genome editing. When a Chinese study involving gene editing in human embryos was submitted for publication, there was a hue and cry over whether journals should accept it, given ethical concerns. Currently, there is a moratorium on altering DNA that will subsequently pass on to new generations. Even when the CRISPR technology was approved for editing human embryos in the UK, it was mandated that embryos be destroyed within fourteen days. The Petrie-Flom Center is pleased to welcome Kelly Dhru and Shailin Thomas to Bill of Health as our 2016 Summer Student Bloggers! Kelly Amal Dhru is an incoming LLM student at the Harvard Law School, and a 2016-17 Fulbright-Nehru Master’s Fellow in Public Health Law and Bioethics from India. Previously, Kelly has completed her BCL (Distinction) and MPhil in Law from University College, University of Oxford, where thesis focused on the gap between rights and duties in the context of laws preventing cruelty to animals. Kelly holds a law degree from Gujarat National Law University, and has been the Research Director at Research Foundation for Governance in India, where she has been involved in drafting laws relating to public health, bioethics and human rights. Kelly has been a research assistant for Public Health Law at King’s College London, taught the Law of Tort, Jurisprudence and Bioethics at the University of Oxford, and Ethics and Philosophy at Ahmedabad University in India. She is a co-founder and storywriter for Lawtoons: a comic series on laws and rights, and been involved spreading awareness about public health and human rights through the use of street theatre. Shailin Thomas is a second year law student in a joint MD/JD program between Harvard Law School and the New York University School of Medicine. He received a B.S. from Yale University, where he studied cognitive neuroscience — exploring the anatomy and physiology underlying social phenomena. His interests lie at the intersection of clinical medicine and the legal forces that shape it. 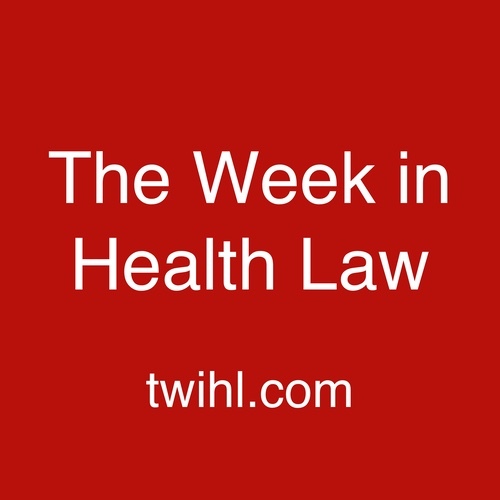 Prior to law school, Shailin worked on both the administrative and clinical sides of health care, and as a research associate at the Berkman Center for Internet & Society. He is currently an affiliate of the Berkman Center and Outreach Editor for the Harvard Journal of Law & Technology. A fervent proponent of privacy and freedom of expression, Shailin has also served on the Board of Directors of the American Civil Liberties Union of Connecticut. I voted in the referendum yesterday along with many others. The referendum turnout was 71.8%, with more than 30 million people voting. It was the highest turnout in a UK-wide vote since the 1992 general election. My area, Broxtowe in Nottingham where I live, voted to leave the EU, 54.6%, 35754 votes, remain 45.4% 29672 votes. I live in the East Midlands, Middle England. Deep regional divisions have been laid bare by this referendum. It was notable that London largely voted to stay in the EU whereas in my region there was a notable push to leave, 58.5%.The referendum result shows British politics has, according to the Guardian newspaper, fractured beyond all recognition since the last referendum on Europe in 1975. This week our guest is Professor Deborah Lupton, one of the world’s leading digital sociologists. Her new book, The Quantified Self, is the basis of most of our discussion–and it has fascinating lessons for health care lawyers, providers, and patients. Deborah joined the University of Canberra in early 2014 as a Centenary Research Professor associated with the News & Media Research Centre in the Faculty of Arts & Design. Her research and teaching is multidisciplinary, incorporating sociology, media and communication and cultural studies. Deborah has previously held academic appointments at the University of Sydney, Charles Sturt University and the University of Western Sydney. Deborah is the author of 15 books and over 150 journal articles and book chapters on topics including the social and cultural dimensions of: medicine and public health; risk; the body; parenting cultures; digital sociology; food; obesity politics; and the emotions. She is an advocate of using social media for academic research and engagement, including Twitter (@DALupton) and her blog This Sociological Life. Those interested in further exploring the social theory of digital selfhood may be interested in Frank’s piece, The Algorithmic Self. And for some forward-thinking reflections on new technologies of digital health, check out Nic’s recent post at Health Affairs on hearing aids and regualtory arbitrage. Earlier today, the NIH rejected a request filed by consumer groups including Knowledge Ecology International (KEI) to exercise the government’s march-in rights on an expensive prostate cancer drug, Xtandi. Xtandi costs upwards of $129,000 per year, and KEI had asked the government to exercise its rights under the Bayh-Dole Act, which specifies a range of conditions under which the government may require a patentholder to grant licenses on reasonable terms to others to practice the patent. Specifically, the government may require such a license where “action is necessary to alleviate health or safety needs which are not reasonably satisfied,” 35 U.S.C. § 203(a)(2), or where the benefits of the invention are not being made “available to the public on reasonable terms,” 35 U.S.C. § 201(f). For some time now, there has been debate over the question of whether high prices for pharmaceuticals are a sufficient trigger to invoke the use of march-in rights under these clauses of the statute. I don’t take a position on that question here. Instead, I want to ask whose responsibility it is to decide that question. Congress has the legal right to do so, but it seems unwilling or unable to. The agencies in question have recently declined to, even assuming they have the power to interpret the statute in that way. And so we might look to the courts. But there’s a puzzle here: it’s not clear that anyone can ask a court to decide whether high prices meet the statutory requirements unless an agency actually decides that high prices meet the statutory requirements. On June 17, the Supreme Court unanimously decided Universal Health Services v. United States ex rel. Escobar (UHS), holding that FCA cases may be predicated on “implied certifications” of compliance as long as the defendant knowingly violates a requirement it knows is material to the government’s payment determination. Because the First Circuit applied an incorrectly broad interpretation of materiality, however, the Justices nonetheless vacated the appellate judgment and remanded. While both parties quickly claimed victory, in reality the decision is likely to satisfy no one and to raise as many questions as it answers. The case was filed by the parents of a young woman who died after receiving Medicaid-covered mental health treatment from a Massachusetts clinic that failed to satisfy state licensing and supervision regulations. Her parents alleged that the clinic’s MassHealth claims were fraudulent because, by filing for payment, the clinic had implicitly represented that it was in compliance with all relevant state requirements. A district court dismissed the suit but the First Circuit reversed, taking a very broad view of the scope of implied certification. On appeal, UHS asked the Court to reject the implied certification theory, arguing that a failure to disclose noncompliance should not be considered fraudulent in the absence of an affirmative duty to disclose. Respondents, supported by the United States as amicus curiae, countered that a defendant who knowingly bills the government for services without disclosing a failure to meet material conditions has submitted a false claim. While few observers expected the Court to entirely abolish implied certification, at oral argument the Justices appeared deeply divided as to the scope of the theory and the source of any limiting principle.